Since 2013, Kirby Green has been part of the EDGE community as a mentee. Five years later, she stepped into the role of a mentor and is now leading her own group of mentees. We asked Kirby to share about her experience as a mentee, and how that experience has shaped her as she transitions to a mentor. What stage of life/career were you in when you first became a mentee? In 2013, my husband of six months and I moved to Indianapolis – a new city – and I was taking on a new role in a new industry. There was a whole lot of “new” in my life. That is right around the time I joined EDGE as a mentee, and the timing couldn’t have been any better. My EDGE group was a part of my life during some major life transitions, between stepping into new roles at work, moving to new towns and welcoming two daughters. I’m thankful to have joined those women in their life stages of new marriages, new babies and new jobs. Being able to face those transitions with other mentees and a mentor in your life is a game changer. Describe your experience transitioning from a mentee to a mentor. 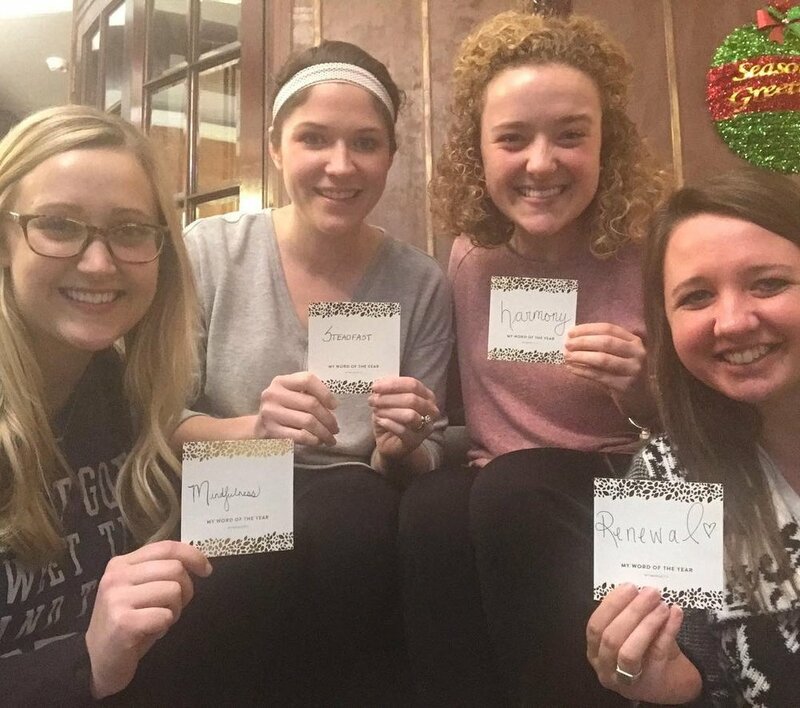 As my time as an EDGE mentee was winding down, I began praying for young women that were in college preparing to work in the agricultural industry that I knew of, but that I really didn’t know. I wondered what the Lord might be up to with laying their faces and names in my mind rather often. So I decided to reach out to them to see if they would like to get together monthly. I believe I even told them it would be for a time frame while they were in college, then I would encourage them to join EDGE. They laugh to this day reminding me that my introduction included a plan to “kick them out.” So it was really a college group at first, but years later, we find ourselves as an EDGE group and I can’t really express in words how grateful I am for these dear friends and spectacular women. I would encourage current EDGE mentees to seek out the next generation to spend time with and to invest in, regardless of whether your time frame as an EDGE mentee is winding down. You don’t have to be a certain age, of a certain qualification or a certain role in your career to invest in others. When in doubt, initiate. Why did you choose to step into the EDGE mentor role after being a mentee? A question I try to ask after shortly exiting a season of life is “How can I serve others who are about to enter this season?” When I reflect on my college experience, I had hoped for a woman of faith who was also in the marketplace as a mentor. It can be challenging for many young women (and men) in college to plug into a relationship of this nature. 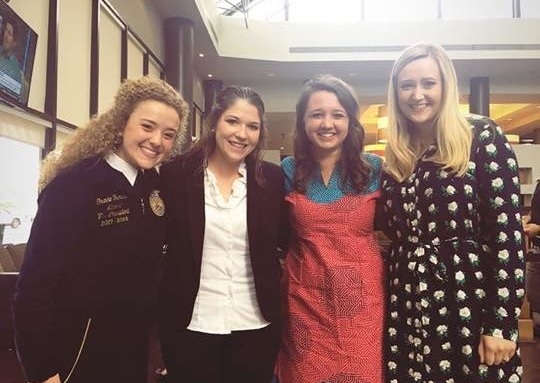 I had hoped that I might be able to encourage these young ladies in their faith, but also in the work they were about to enter into in the agricultural industry. And throughout my time as a mentor to these women, I realize that they have encouraged and challenged me in my faith and work in the most symbiotic of relationships. Are there any new lessons you’re learning from the mentor perspective? Ask good questions and then listen well. To repeat a phrase from earlier: When in doubt, initiate. I’m bringing on more guests to our group calls this year – which is to say, I’m learning that often that to be a mentor is to make a connection rather than expect to be the expert for the group. How did your mentee experience prepare you to lead your own group? Valerie (my EDGE mentor) and the group taught me to invest in others and beautiful relationships will form. So often, we find all of the ways that others are different from us rather than see these as delightful pieces of the relationship. And good old-fashioned time and investment make the relationship – good things grow with time and input. Tell us about the retreat you planned for your mentees. Oh this was a blast! We spent two days setting 2019 goals using Lara Casey’s Powersheets as our guide. By creating and sharing these goals with one another, we can support each other and hold one another accountable. After landing on our individual words of the year, we even came up with an EDGE group mantra for the year using these words. Throughout 2019, we will highlight a goal on our calls to share our progress and challenges. I look forward to growing with these gals.